Welcome to Ligna Exhibition 2019 placed at HANNOVER | GERMANY, since on 27th up to 31st May. The Group, Leader in PRE-OWNED and REFURBISHED Solutions for Boards Industries, is inviting the visitors at its booth placed at the Hall N. 26, Stand H62. Welcome to XYLEXPO 2018 Exhibition placed at MILAN | ITALY | since on 08th May up to on 12th May 2018. The Group, leading in pre-owned and fully refurbished equipment for wood based panels industries invites the visitors at its booth placed at the Hall N. 4, Stand B52. Don't lose the opportunity to advertise your equipment for sale into the Biggest Worldwide Database and Organization. 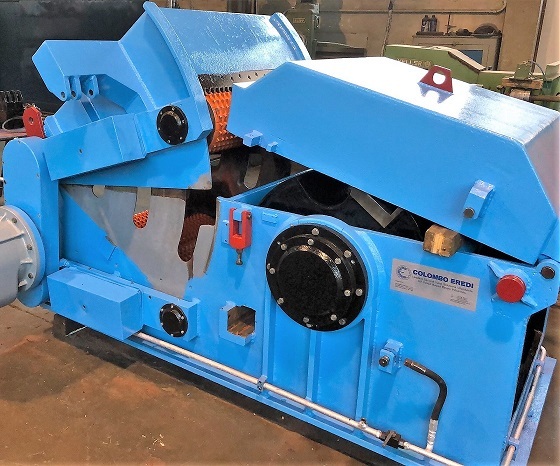 With over than 2000 machinery available for sale, customers in over 120 different worldwide countries, 55 experience's years, over 60 worldwide subsidiaries, partners, agents and the most visited portal for pre-owned and fully refurbished machinery, the customers' equipment could find soon a "NEW HOUSE". The Service is FREE OF CHARGE.